This is a pair of Veritas joinery saws. The dovetail saw is 14 TPI rip tooth and the crosscut saw is 16 TPI crosscut configuration. 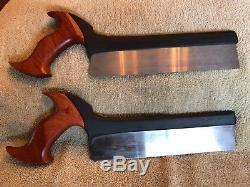 The saws are like new, only used a couple times, and are very sharp. 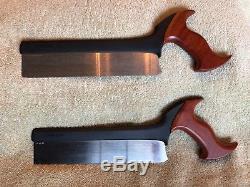 Great saws for the experienced woodworker or someone just starting out. The item "Veritas dovetail and crosscut saws" is in sale since Tuesday, May 15, 2018. 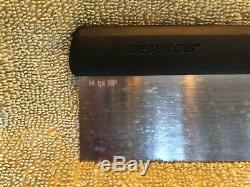 This item is in the category "Collectibles\Tools, Hardware & Locks\Tools\Carpentry, Woodworking\Saws". 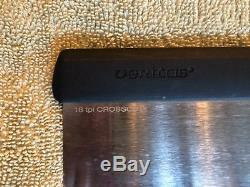 The seller is "benchdog55" and is located in Maiden, North Carolina. This item can be shipped to United States.